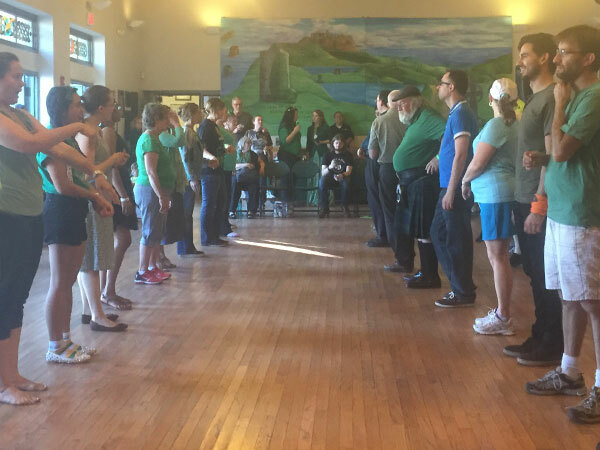 Irish Ceili are the traditional group social dances of Ireland. This class will dance a variety of figure dances from Ar Rinci Foirne sampling progressive line and round dances and closed figures. All levels of dance and experience are welcome and no prior experience is required. Ceili dancing is an aerobic, exhilarating, social activity and great fun for all. Dancers participating in the Irish dance classes will have the opportunity to perform at the Academy Recitals and Irish Parade &amp; Faire. Sharon Judd: Training includes dancing member of the Donegal Dancers for six years; teacher and performance choreography with the McTeggart School of Irish Dance AZ for fourteen years; University of Wisconsin, Milwaukee Irish Studies for two sessions; TMRF certificate conferred by An Coimisiun le Rince Gaelacha; Roster artist for Arizona Commission of the Arts.